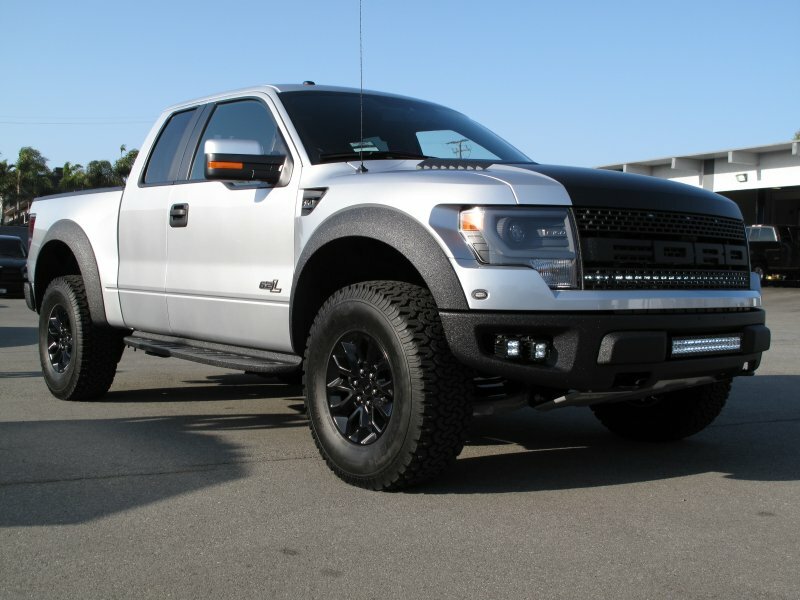 Full package for this Gen2 Raptor! 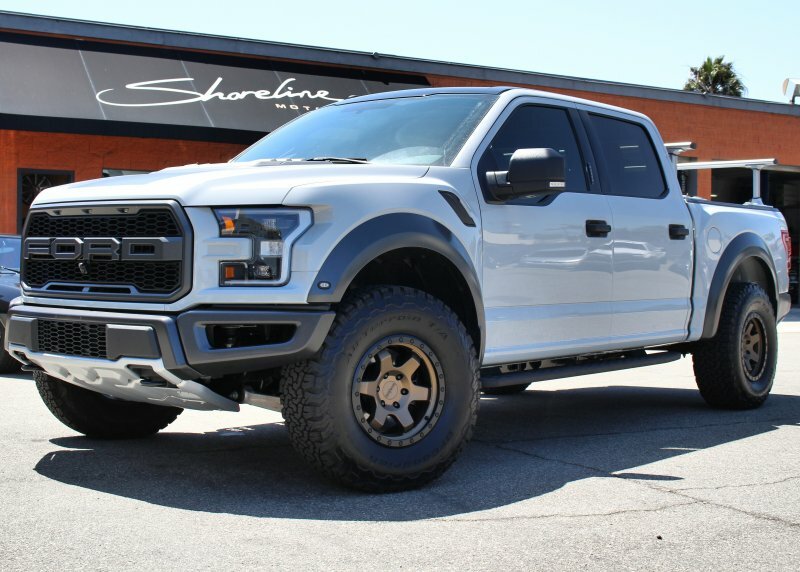 Custom color match paint work from the new ADD Offroad Stealth Fighter front bumper to the matching rear bumper, leveled suspension makes room for the 37" Toyo R/T tires wrapped around the 20" Black Rhino custom wheels, ceramic tint, Magnaflow exhaust and a PedalBox performance package to keep this truck flying down the roads and trails. 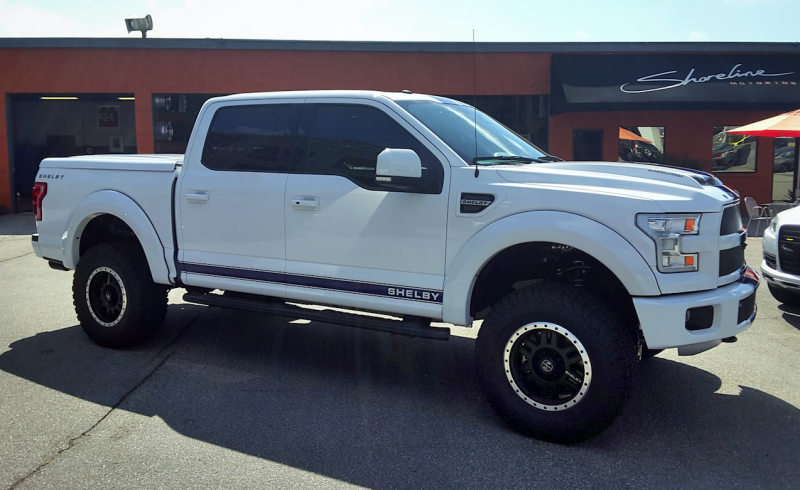 Ford Raptor SVT with 37" Toyo R/T tires and 17" Method Race Wheels and a Pedal Box performance upgrade from DTE to get these big tires rolling! 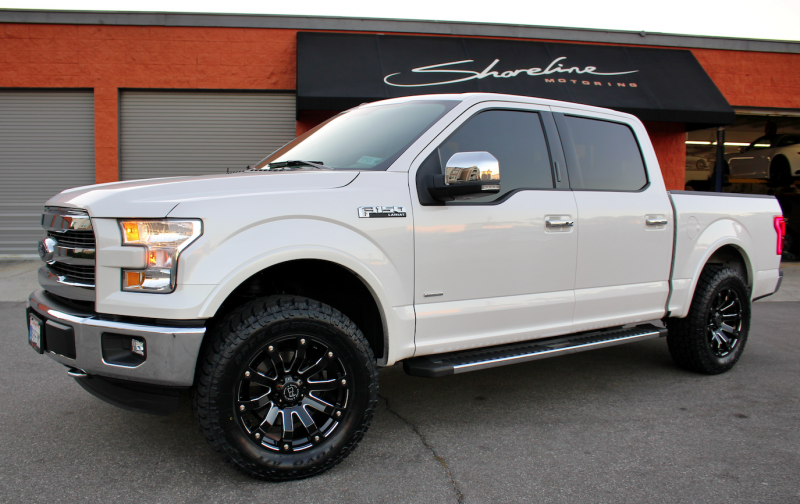 2016 F150 in for 20" Black Rhino wheels, Toyo A/TII tires, leveling kit and a PedalBox performance upgrade from DTE Systems. 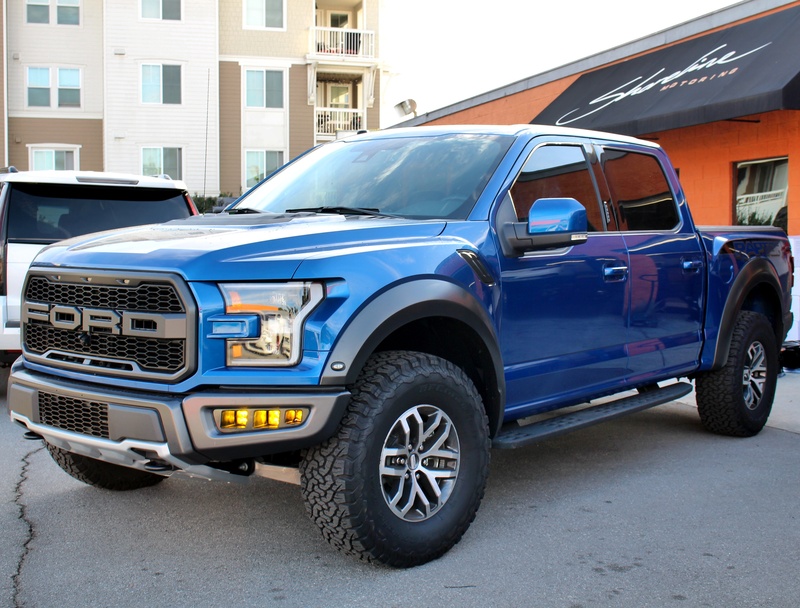 Ford Raptor in color matched beadlocks, bumpers and fenders, LED lighting from Rigid Industries, AMP research steps and a PedalBox performance upgrade. 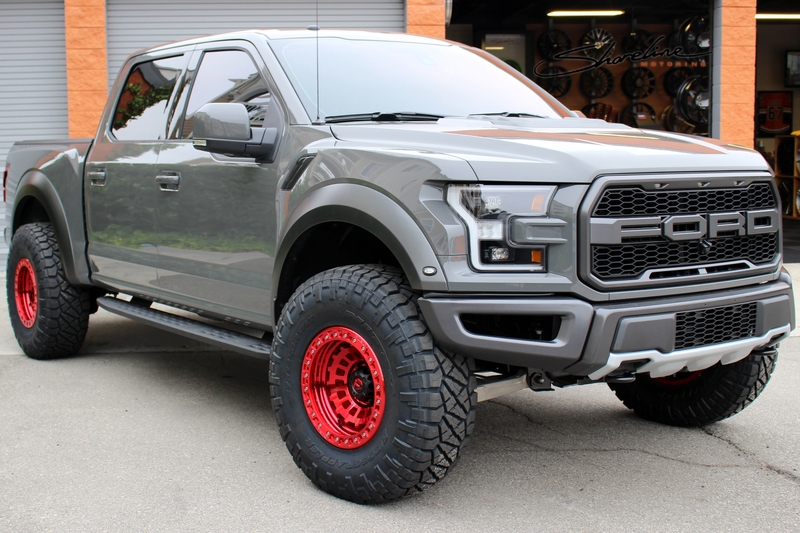 Ford Raptor in for 22" Fuel off road wheels, Toyo M/T tires, textured paint work on fenders, bumpers and grill and a PedalBox to finish off the build. 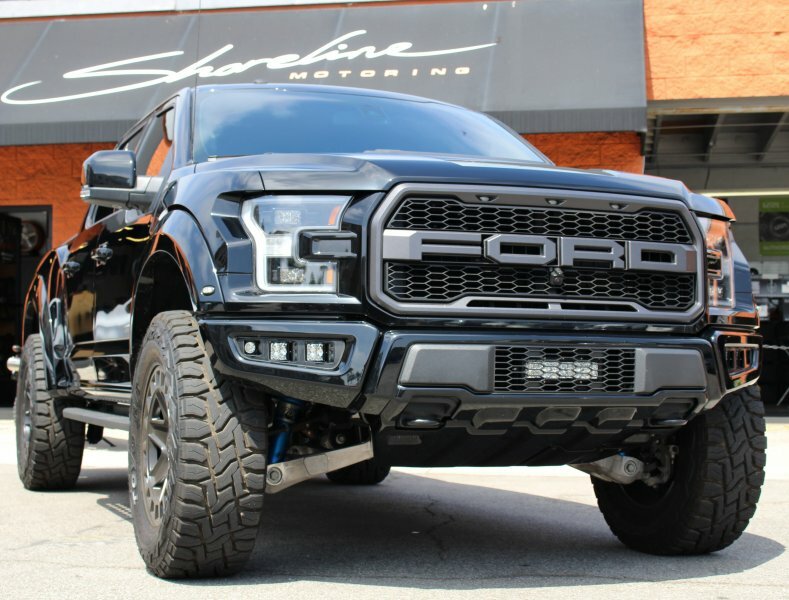 This monster F-350 includes an ADD Offroad front bumper with integrated LED lighting, custom wheel and tire package from Fuel Offroad, ICON suspension components, custom paint work, Fuel offroad grill and a PedalBox performance upgrade from DTE Systems to enhance power response. 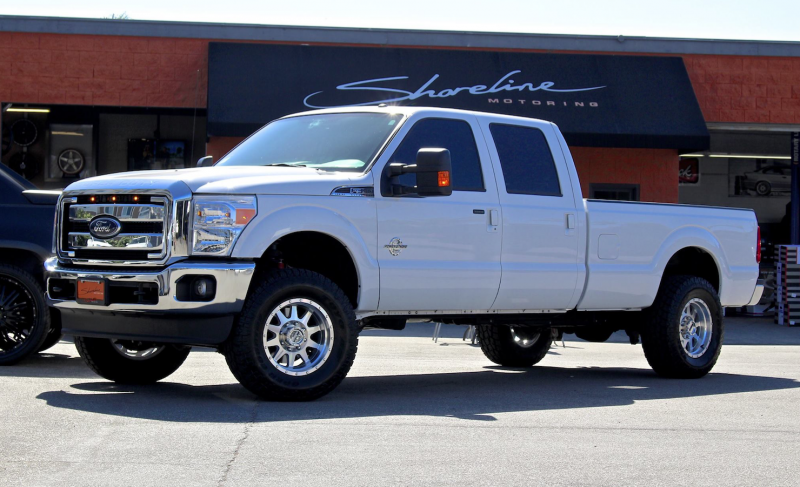 F350 in for some big 37" Toyo M/T and AMP Steps. 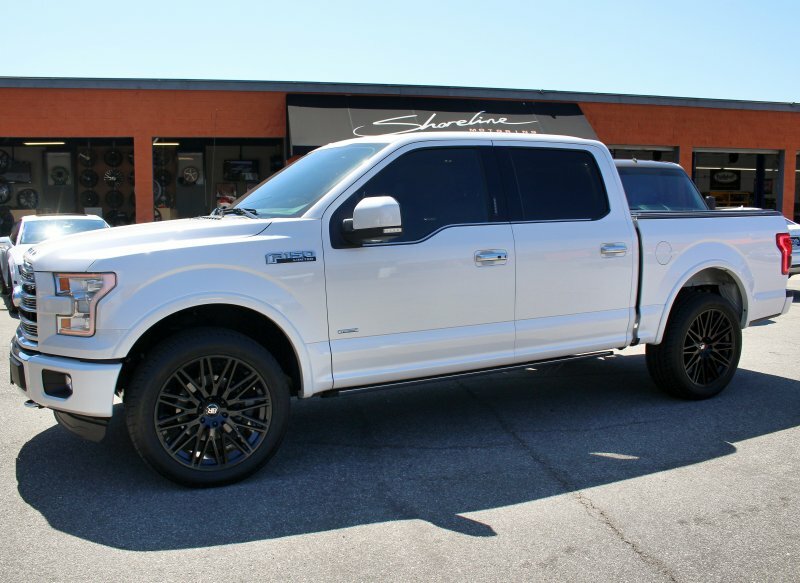 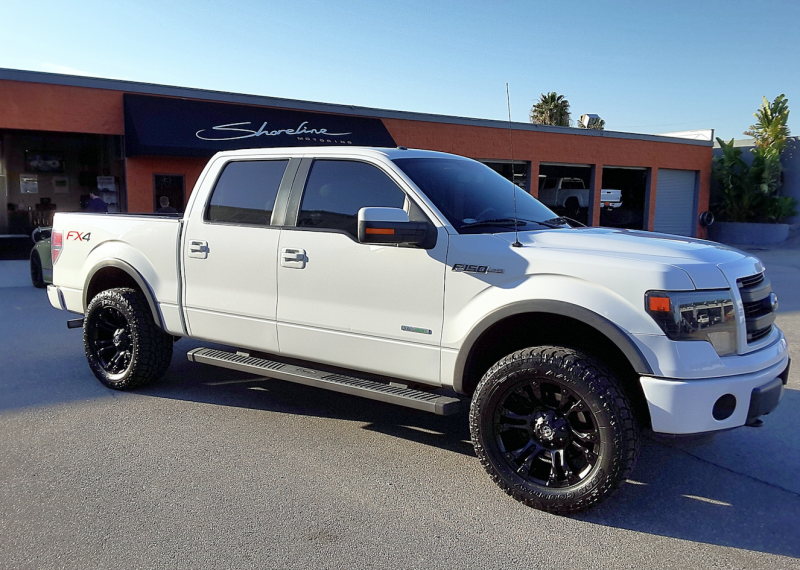 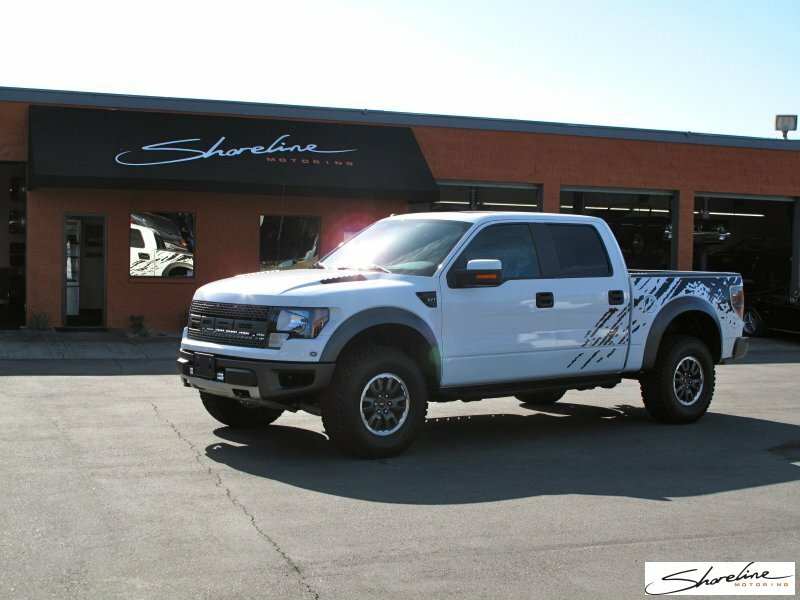 2016 Shelby F-150 in for a PedalBox performance upgrade and electronic exhaust bypass. 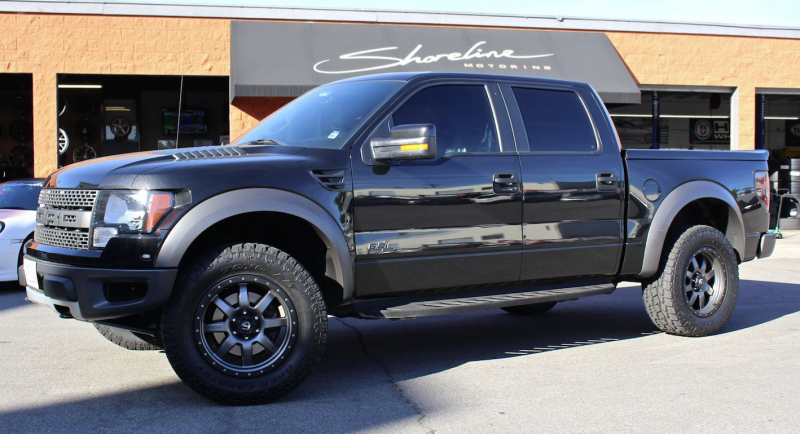 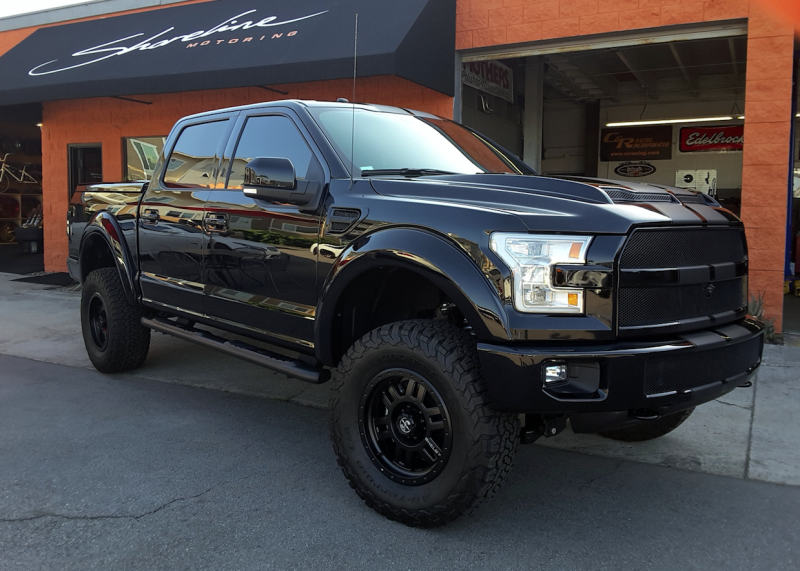 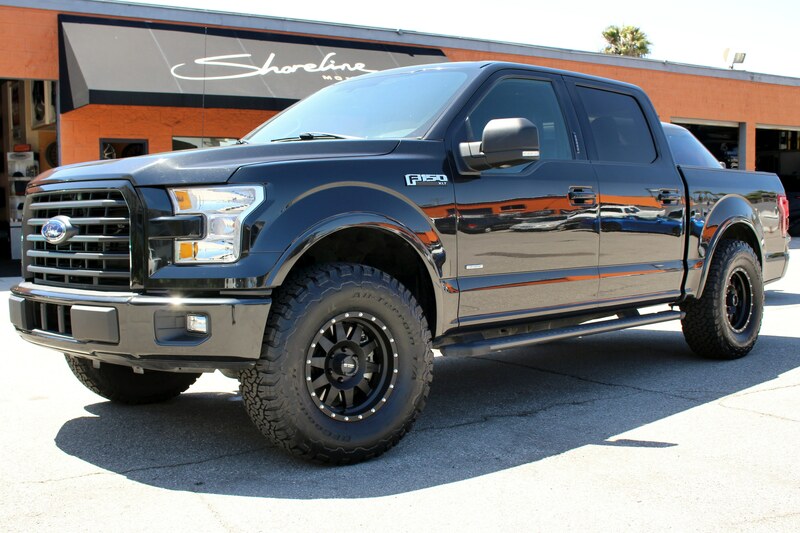 All-Black everything and a PedalBox performance upgrade for this 2016 Shelby F-150. 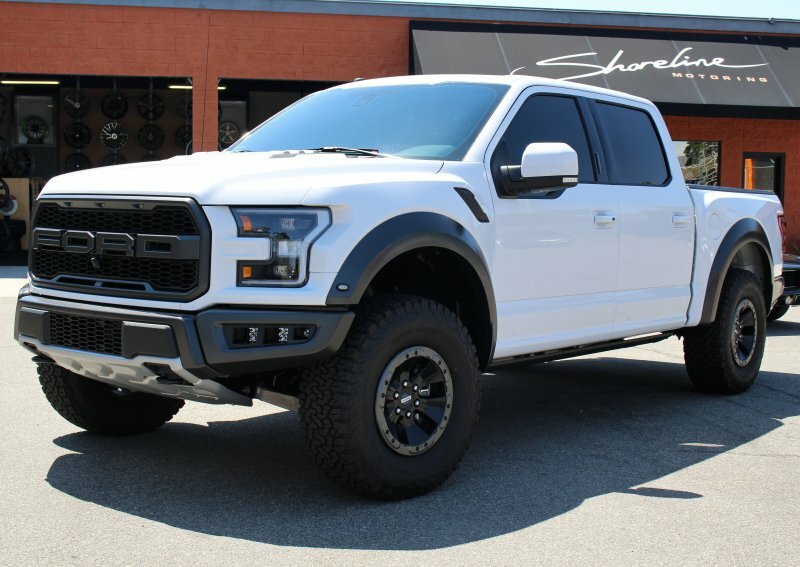 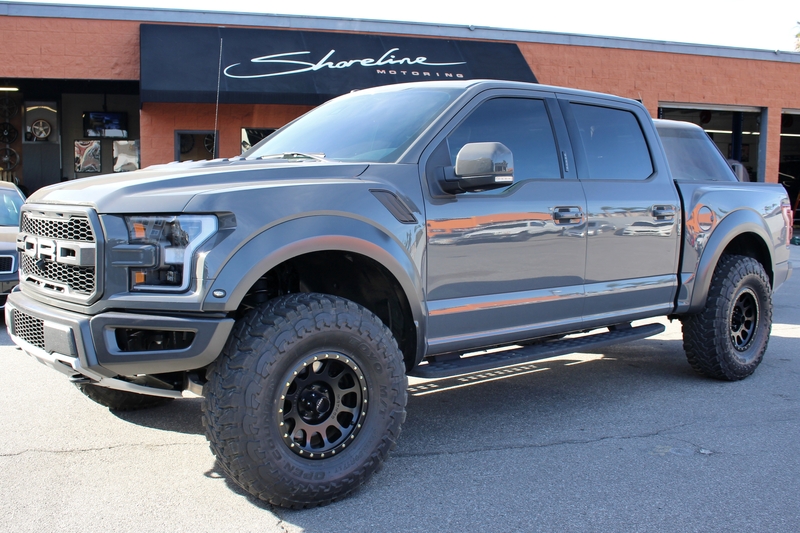 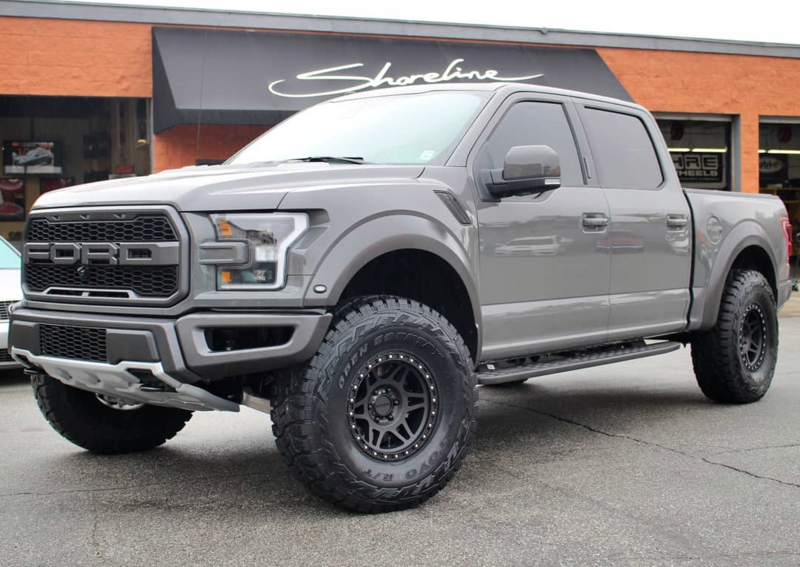 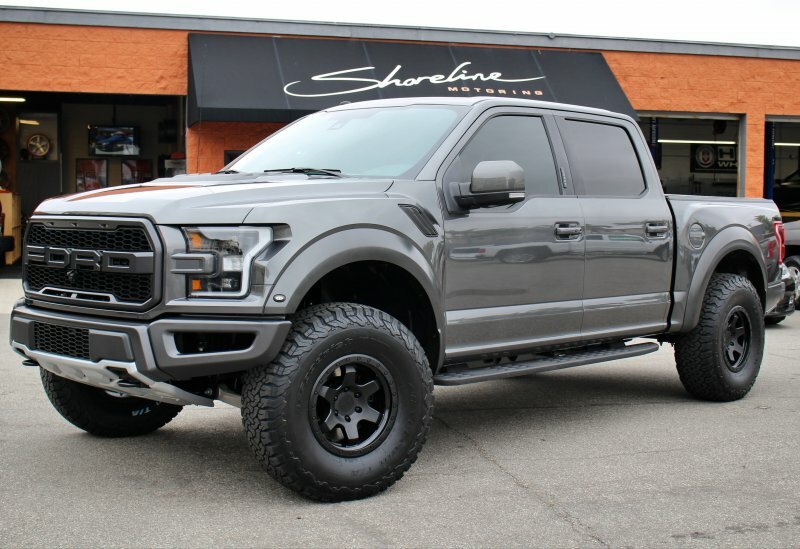 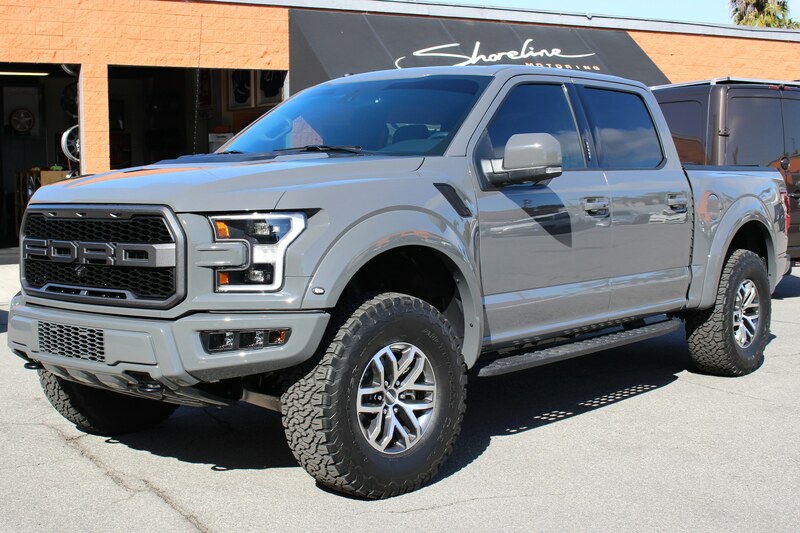 2014 Ford Raptor in for a leveling kit, 20" Fuel Cleaver wheels, 37" Fuel tires, Backflip bed cover, Rigid Industries led lights, and a PedalBox performance upgrade. 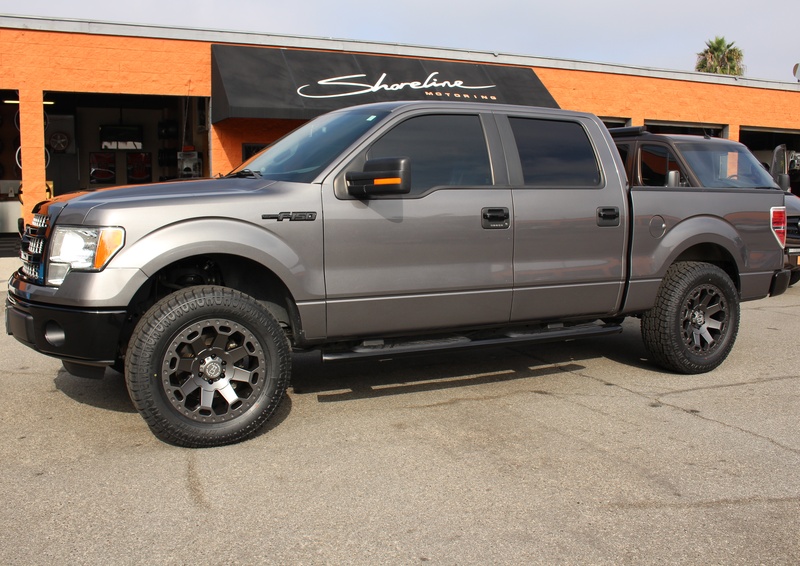 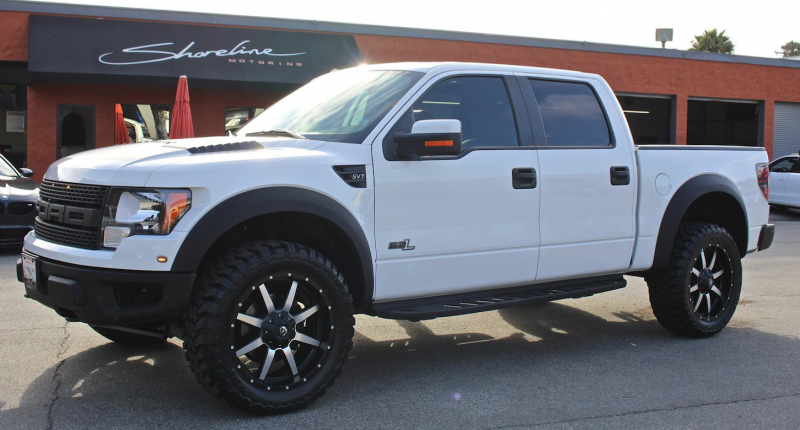 Ford Raptor in for 20" Fuel wheels, Toyo A/TII tires and a PedalBox performance upgrade. 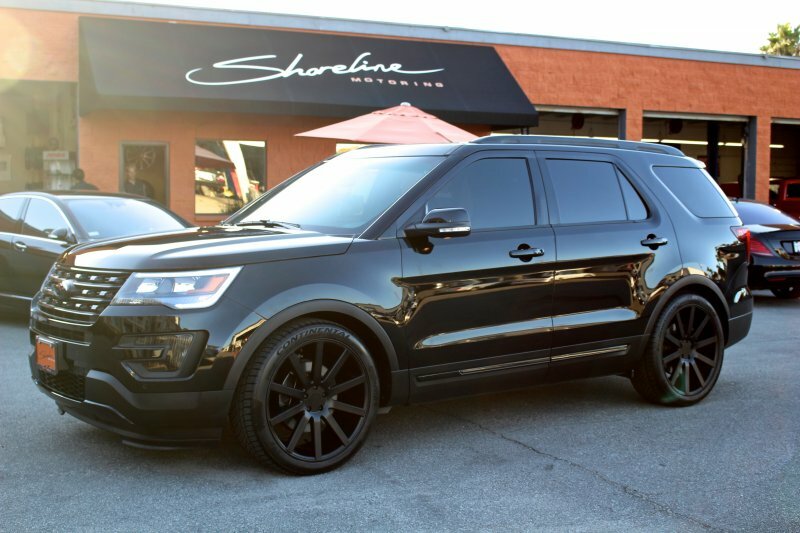 16 Ford Explorer in for 22" Niche Anzio wheels, lowered suspension, window tint and some custom paint work. 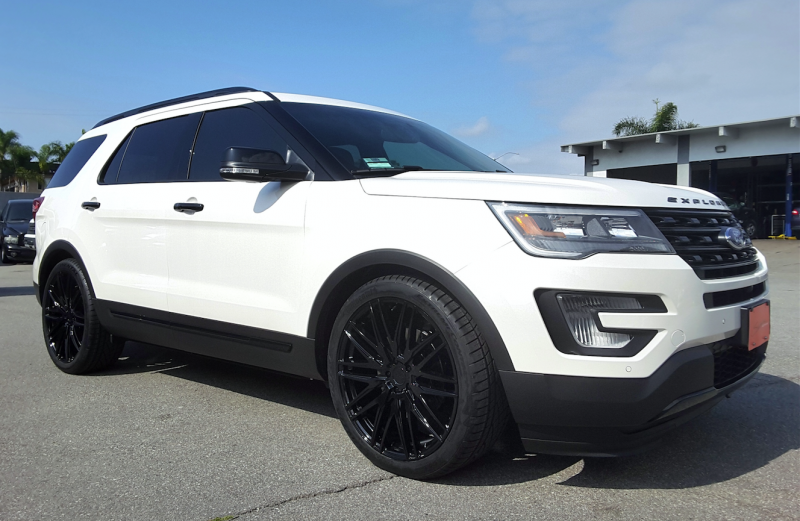 2016 Ford Explorer, lowered suspension, custom paint work, tint, a Pedal Box performance upgrade and 22" custom wheels set this one off from the rest. 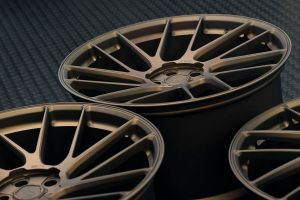 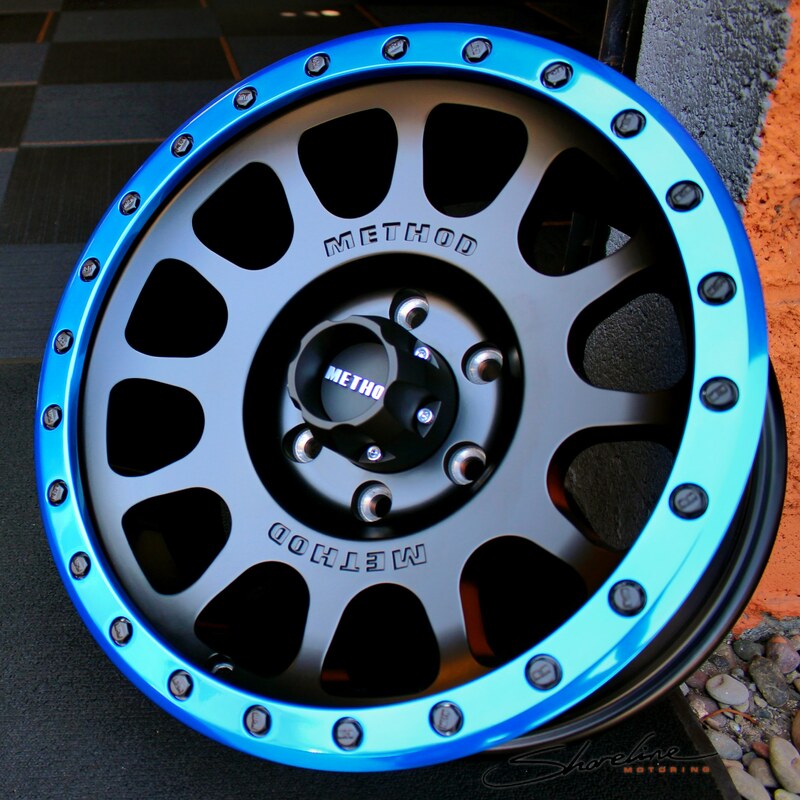 22'' Niche Circuit Wheels in matte black and lowering change the attitude of this Edge. 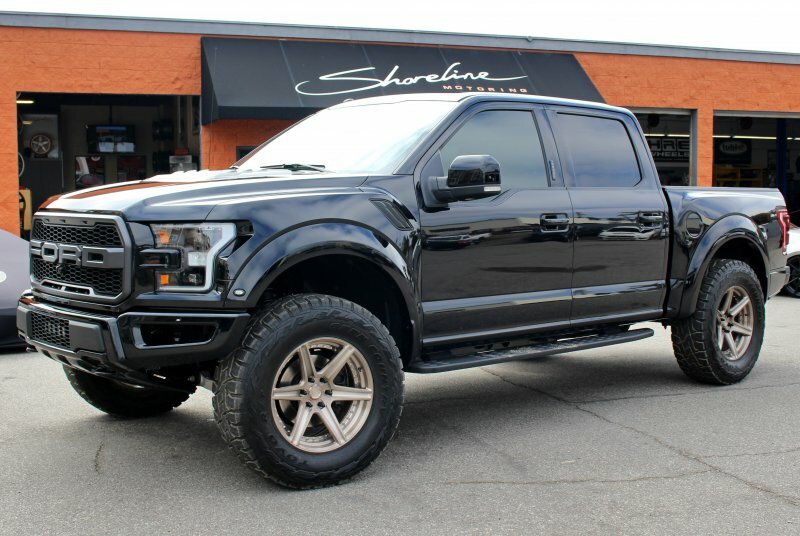 37" tires and a leveling kit...why not! 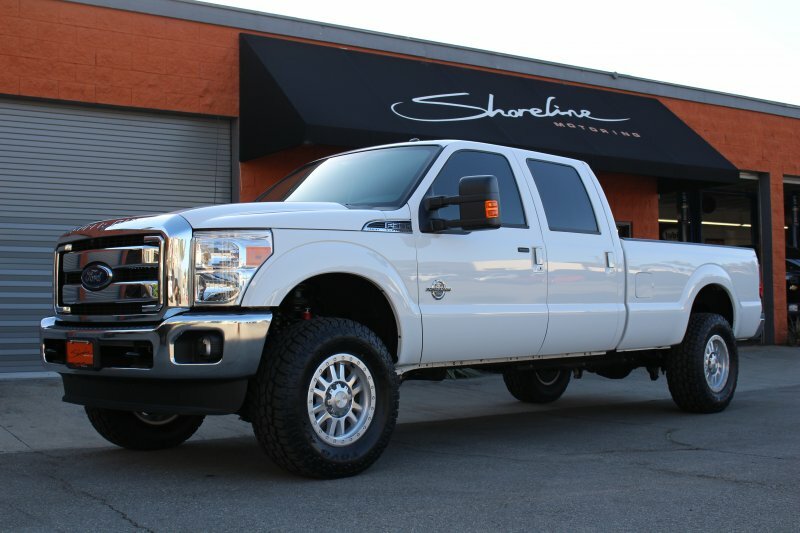 2015 F-350 Super Duty in for 18" Method Race Wheels, Toyo A/TII tires, leveling kit, tint, custom LED lighting in grill and a PedalBox. 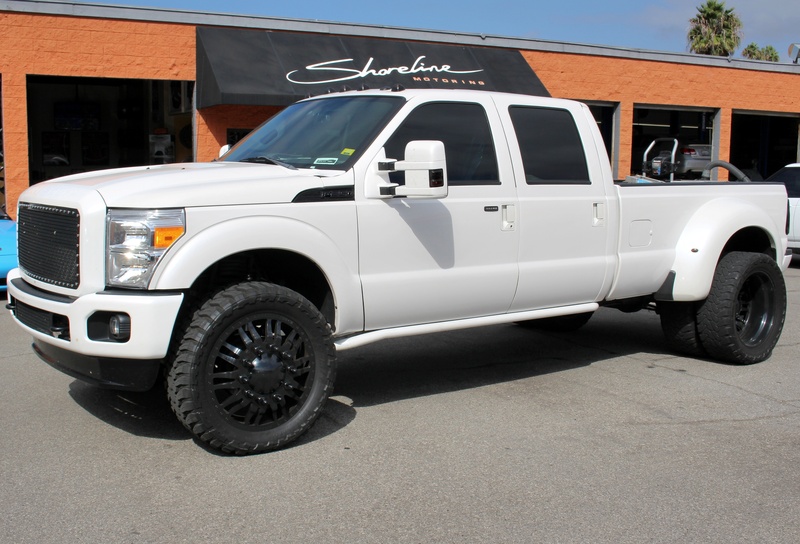 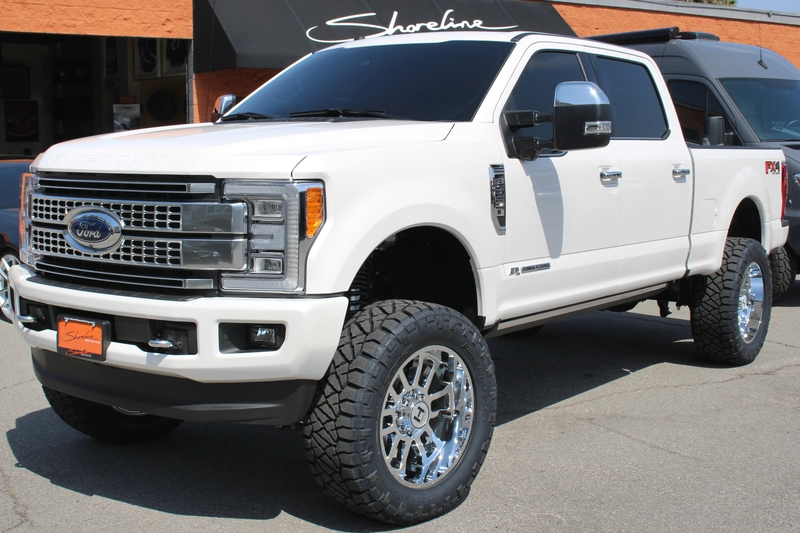 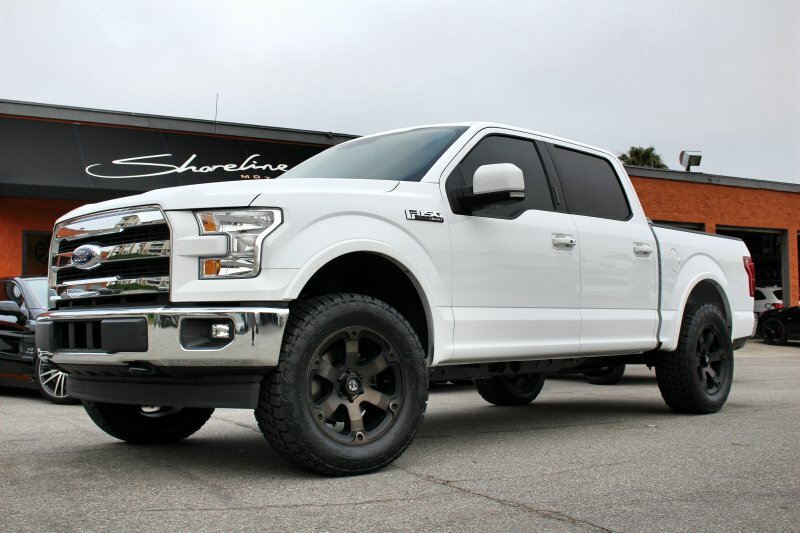 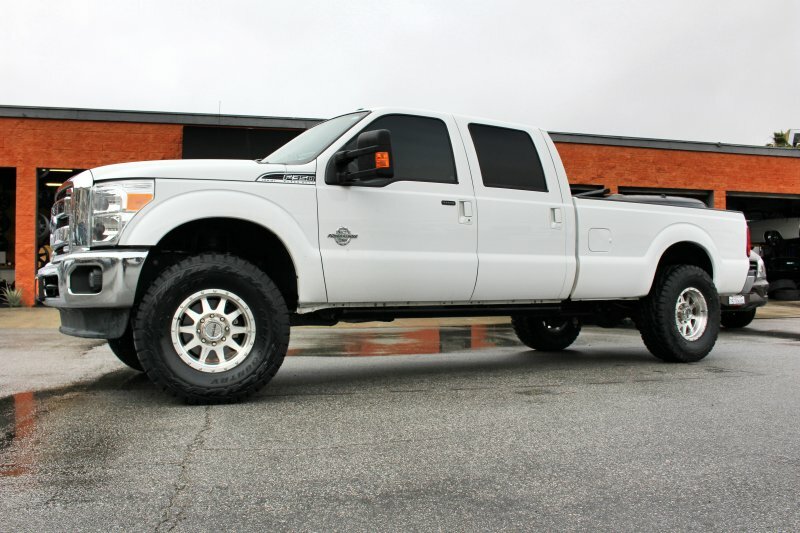 F250 Super Duty in for 17" Fuel wheels, Toyo A/TII tires, leveling kit and a PedalBox performance upgrade. 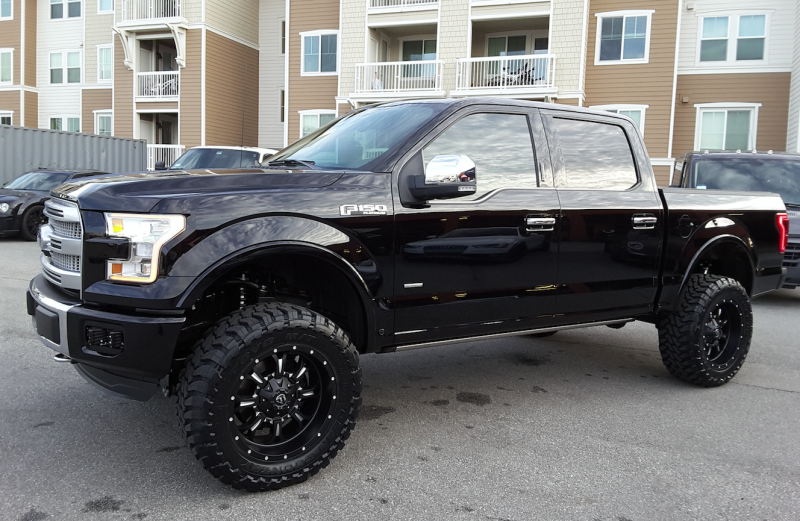 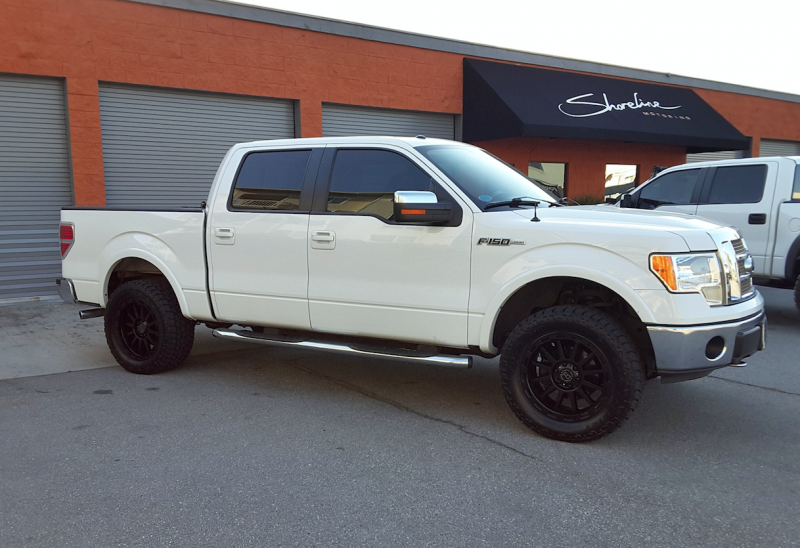 2015 Ford F-350 upgraded with tint, a suspension leveling kit, 18" Black Rhino wheels, 35" Toyo A/T II tires and a PedalBox to top off the job! 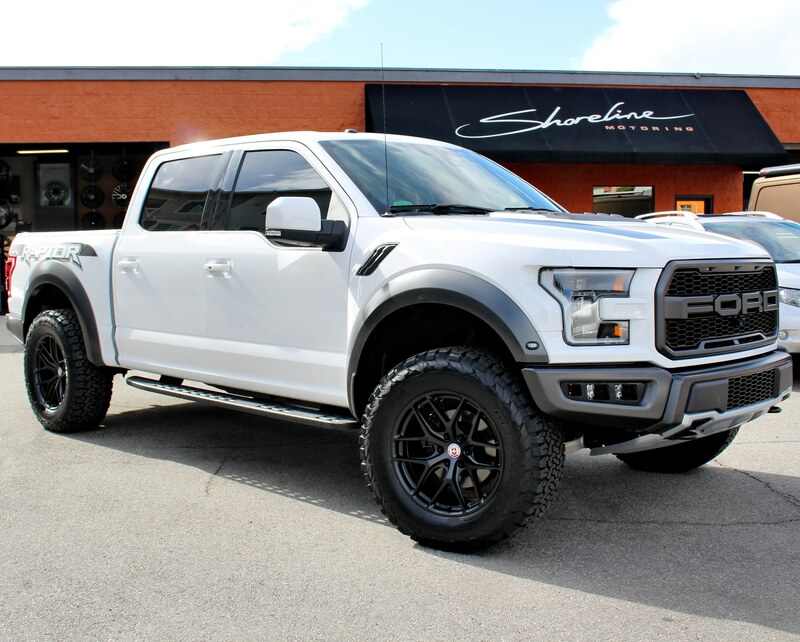 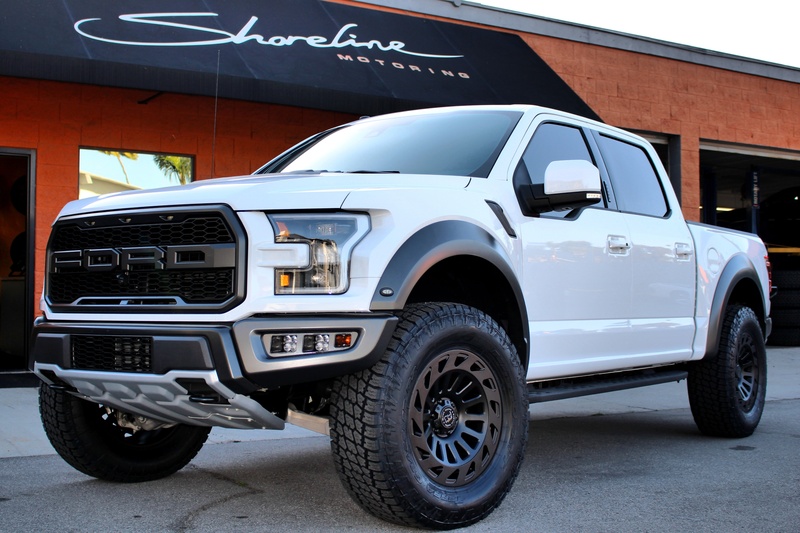 Ford SVT Raptor with texture coated front grille, bumpers, fender flares and side steps, Rigid LED high performance lighting, Magnaflow exhaust system, Kleinn air horn, electric bed cover, coated factory wheels and matte black hood vinyl. 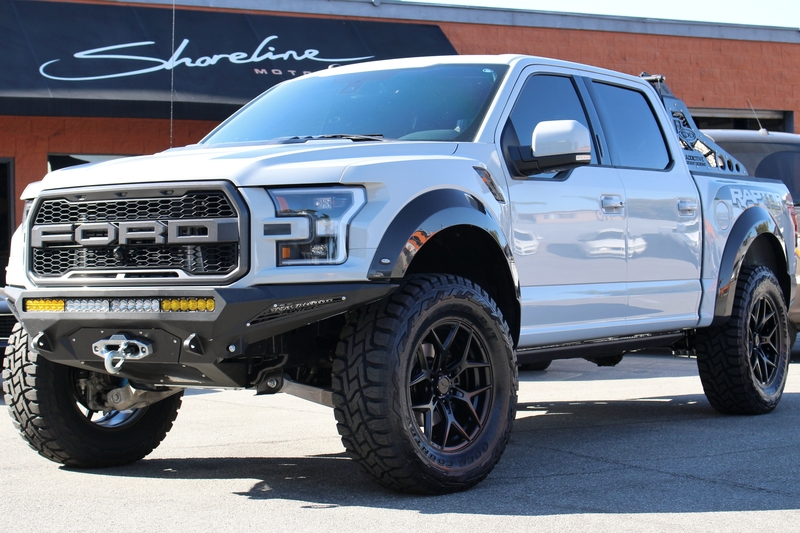 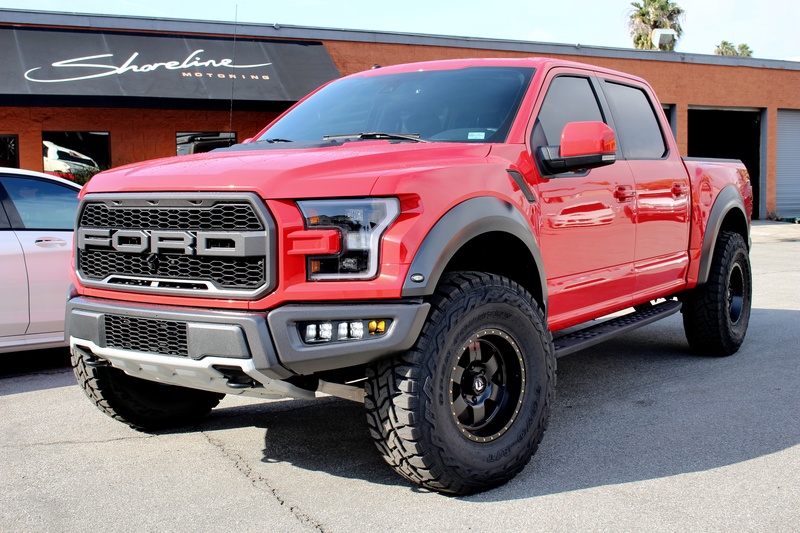 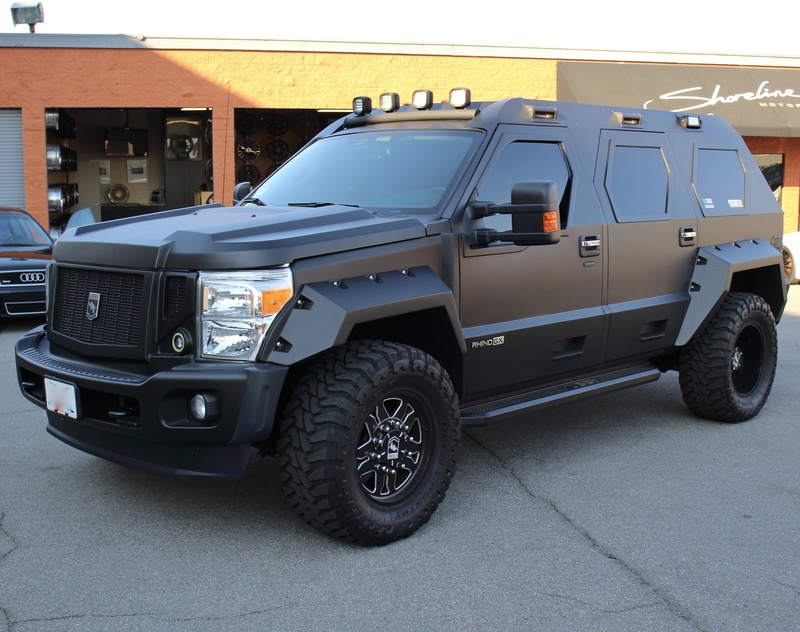 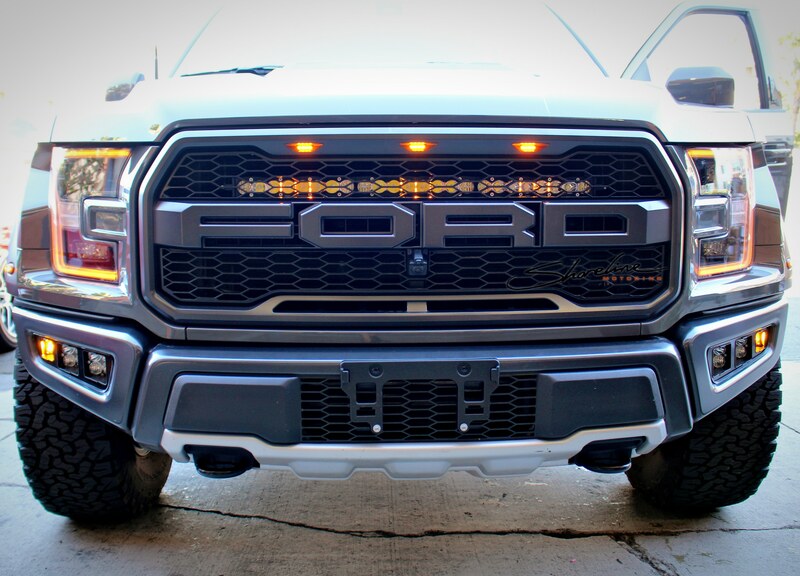 Front of Raptor, Rigid Industries LED high performance lighting on this truck include a 40", 20" and two pairs of 2" lights, texture coated grille and bumper, and custom vinyl work for the hood. 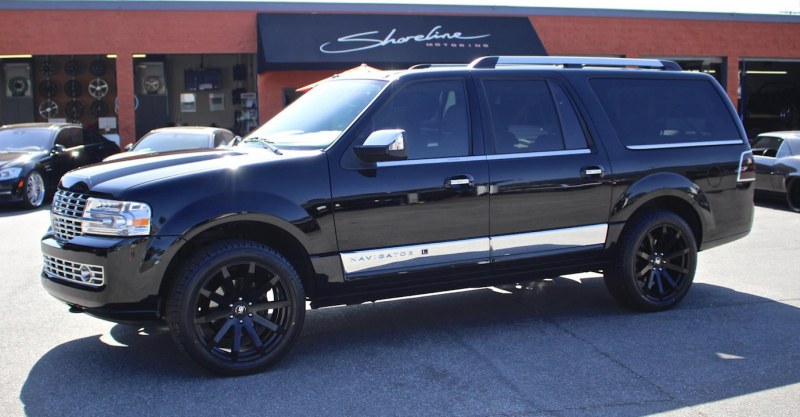 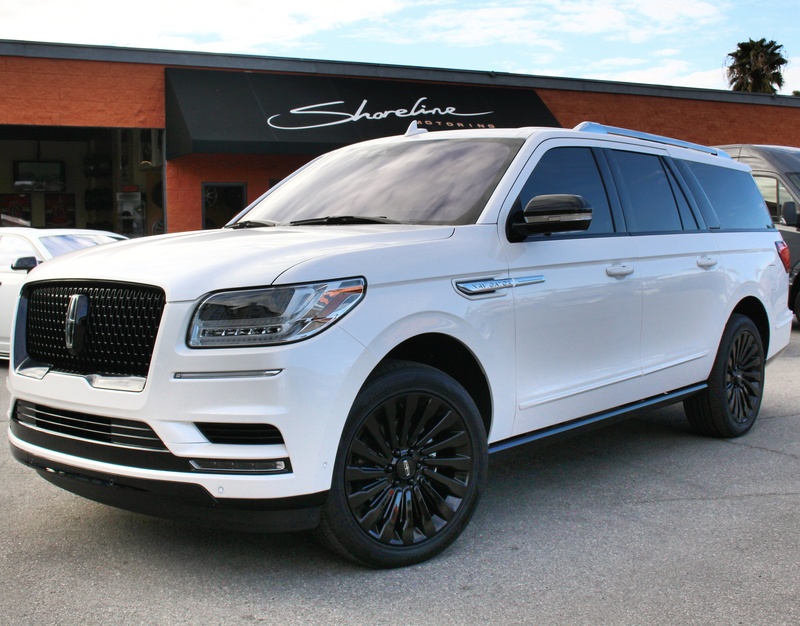 Lincoln Navigator in for 22" Black Rhino wheels, Falken tires and a PedalBox performance upgrade. 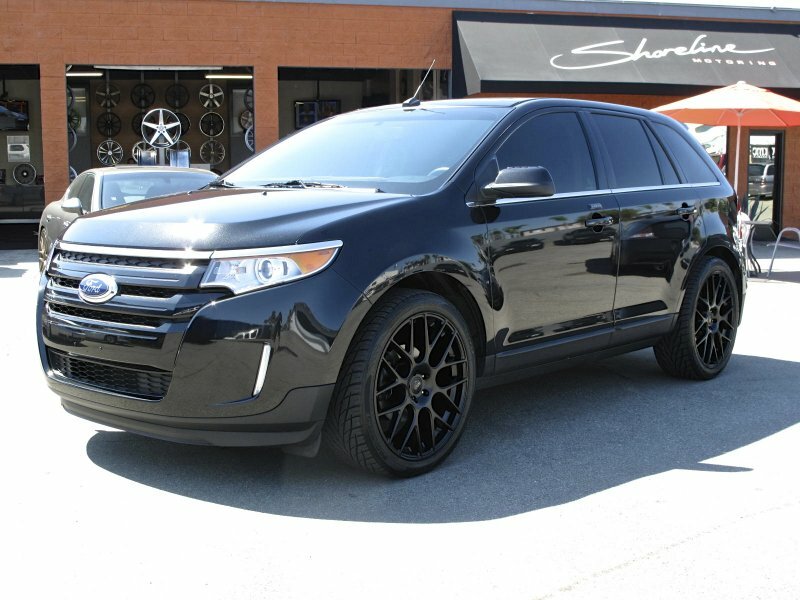 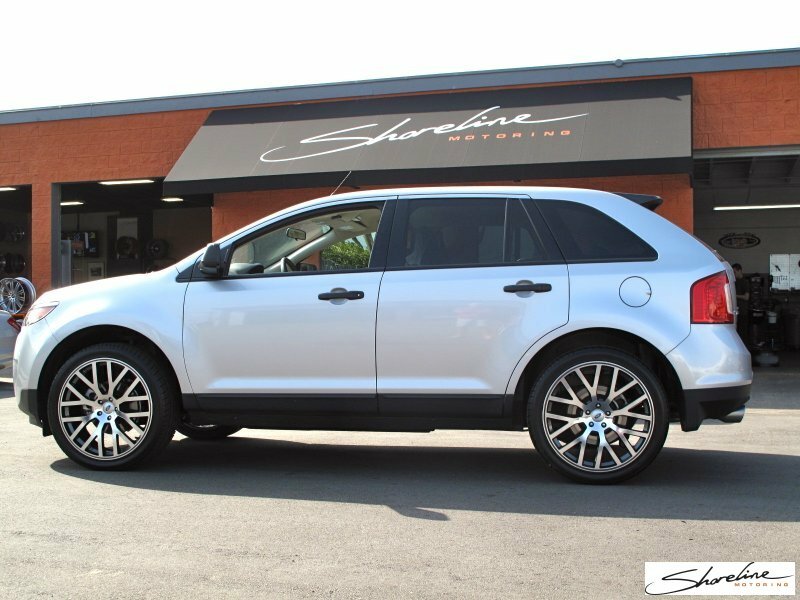 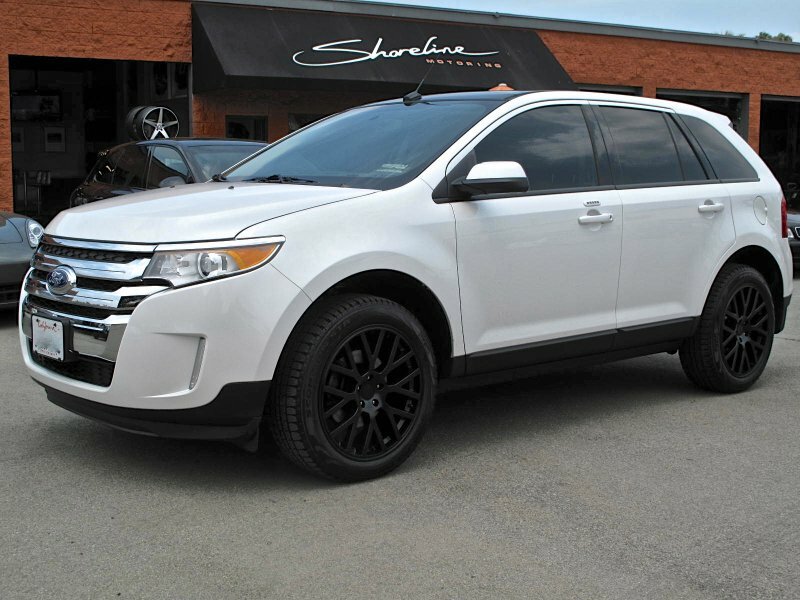 Ford Edge with 20" TSW Donington wheels. 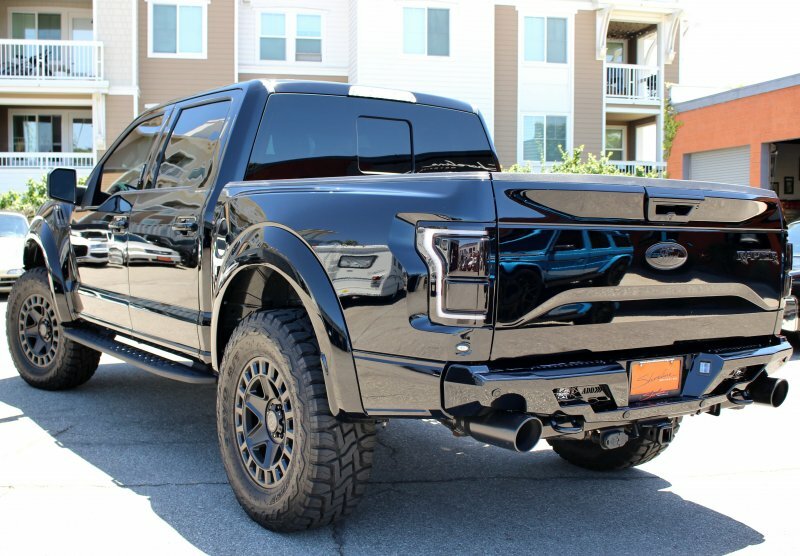 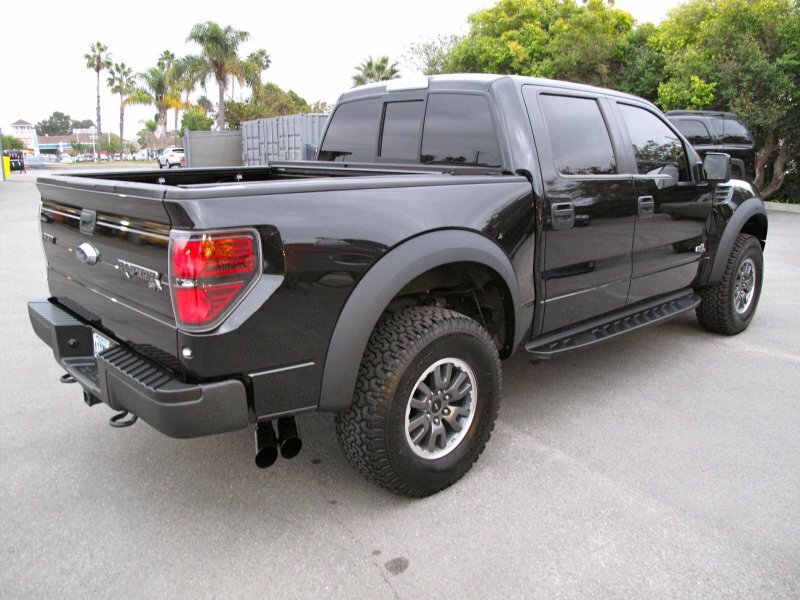 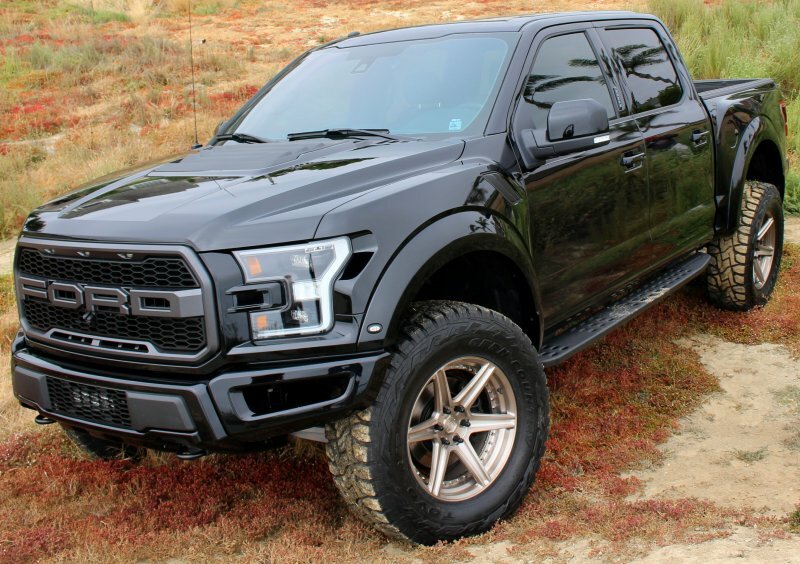 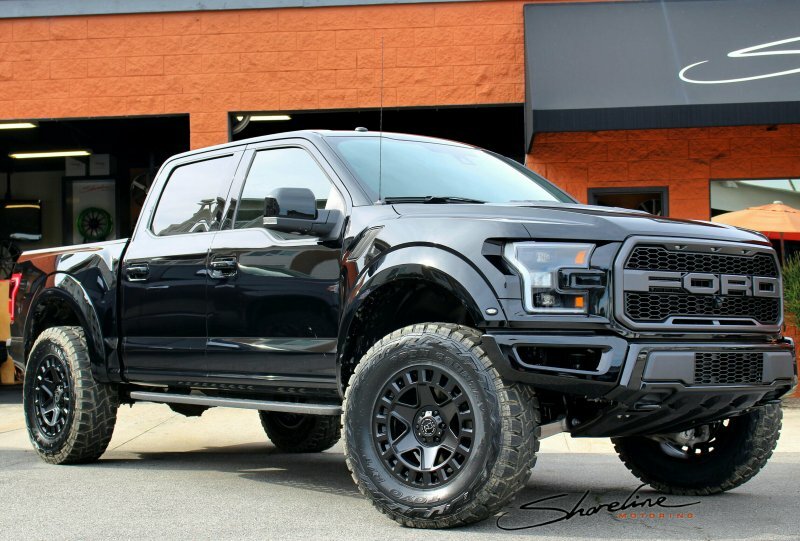 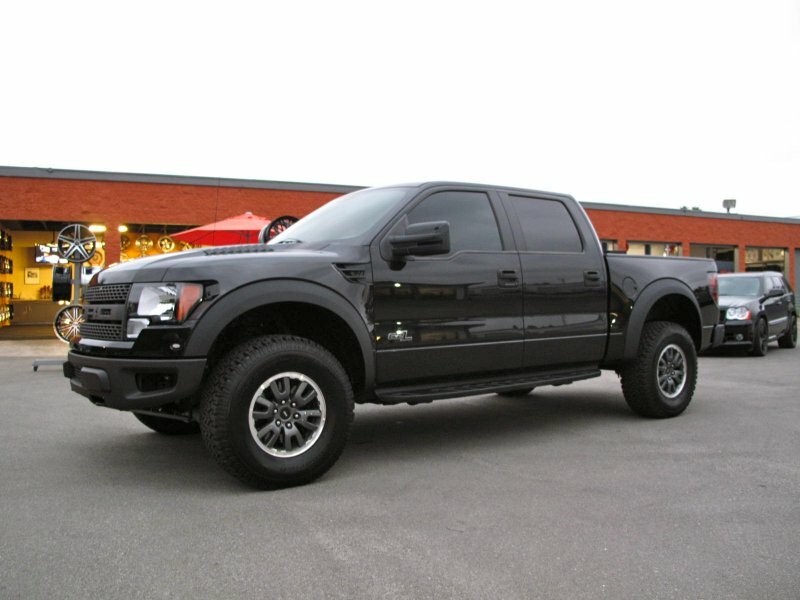 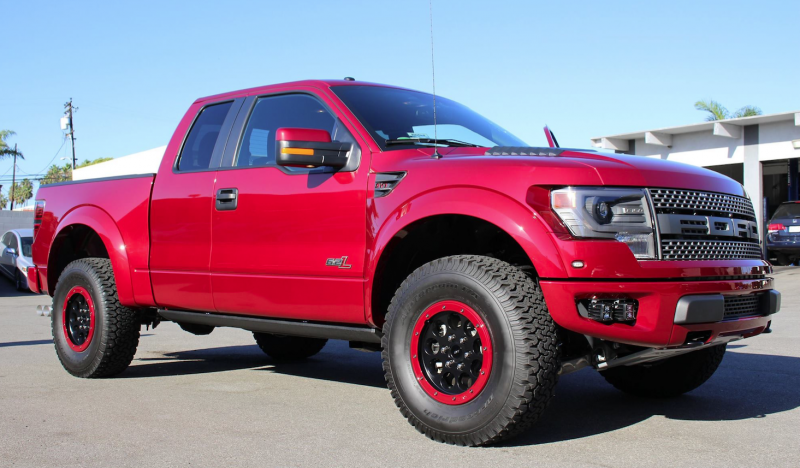 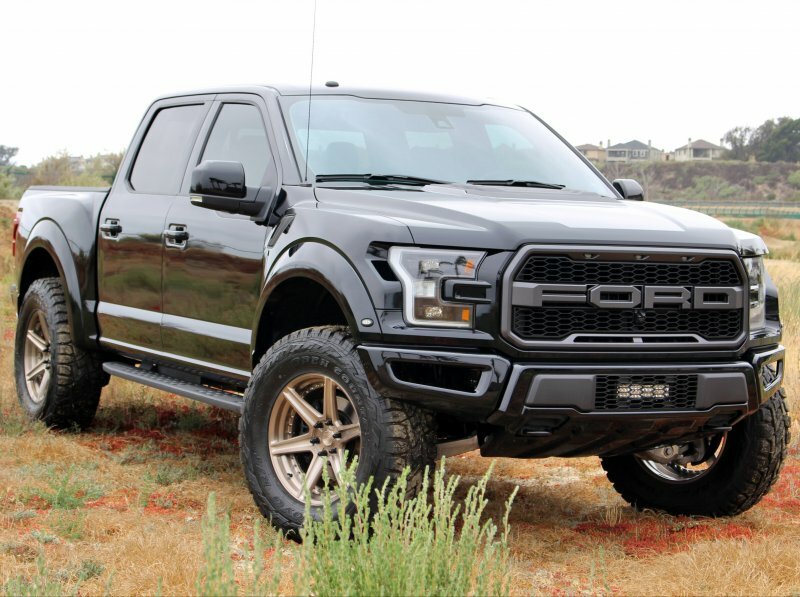 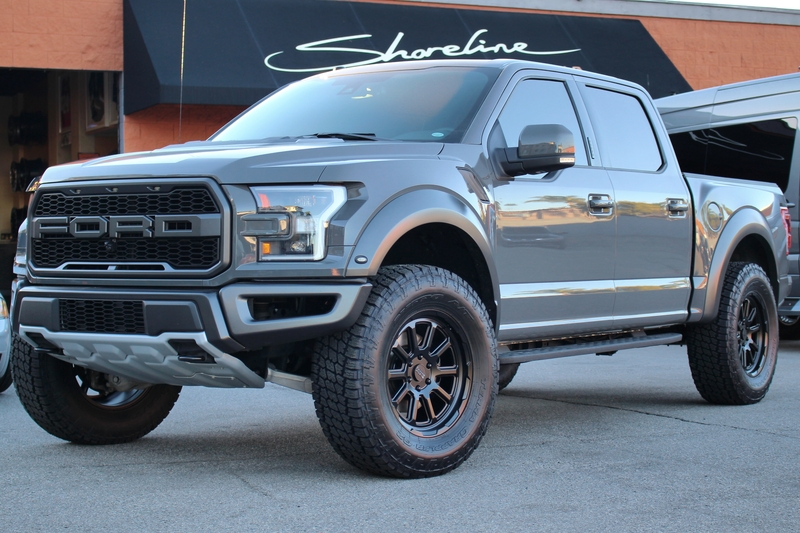 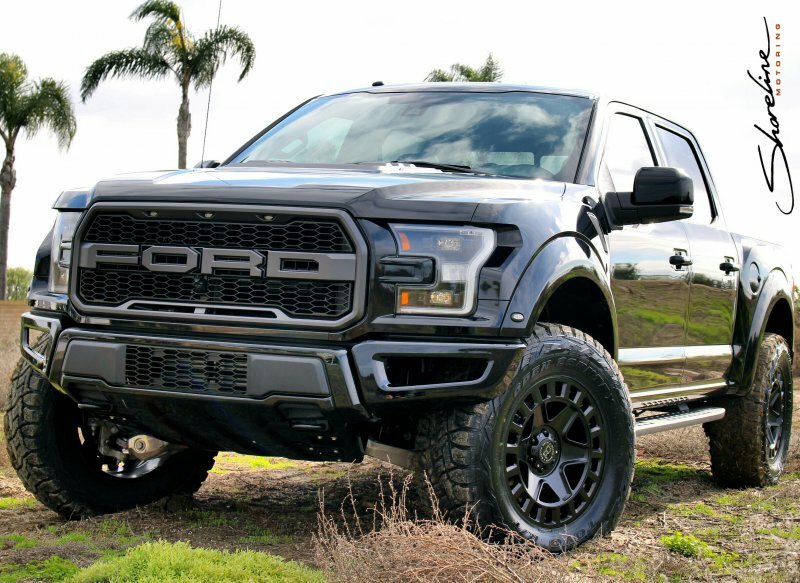 Textured bumpers and Matte Black flares give this Ford Raptor additional attitude. 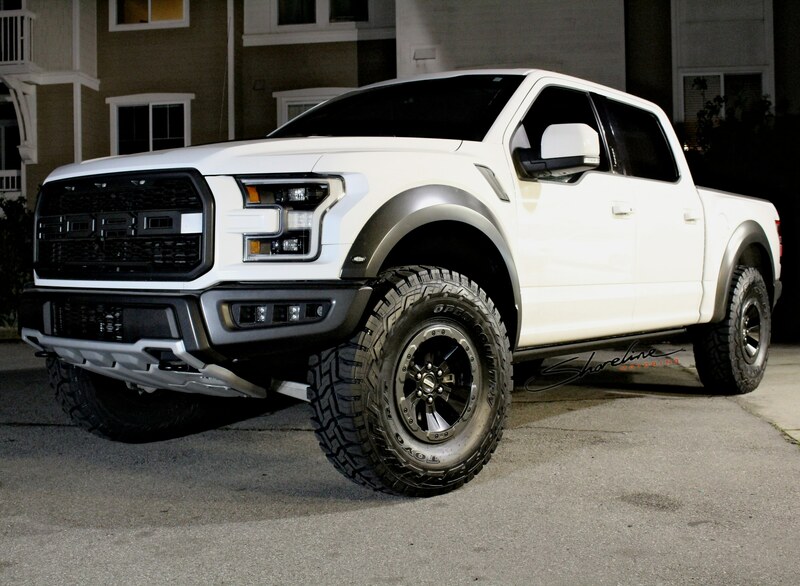 New Ford Raptor with painted fenders & textured bumpers. 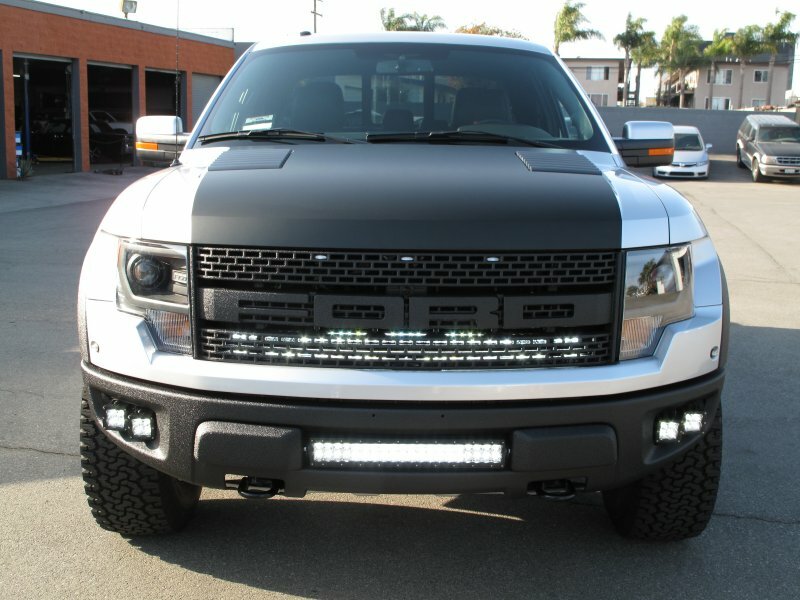 Ford Raptor with LED auxiliary lights front & rear. 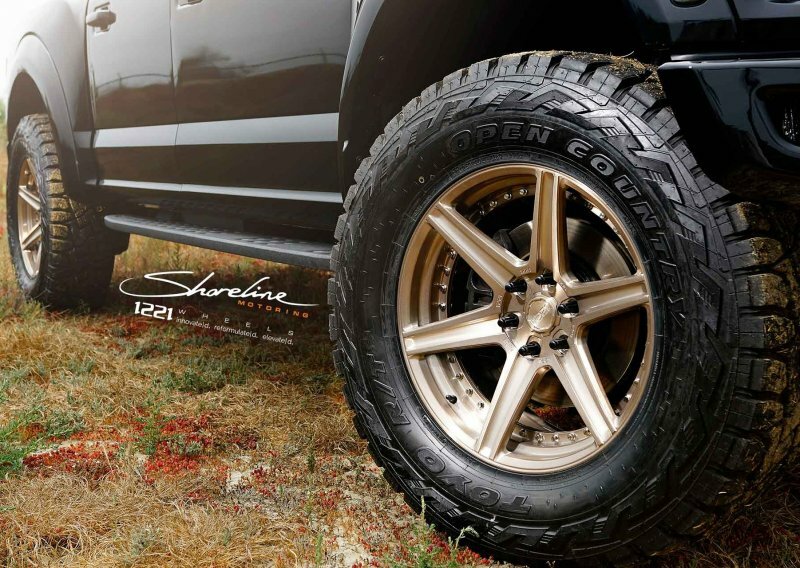 22" TSW's Donington make the Edge look stout.